Buying the right policy needs to have basic information about how car insurance works. It becomes very simple if you familiarise yourself with this knowledge. Understanding commonly-used terms used on the car insurance policy will help you know your coverage better. First-party and Second-party: The very first thing you will come across when you buy car insurance is your role as a buyer. The owner of the car, who is buying insurance, is referred to as First Party. Similarly, an insurance company which is insuring the car becomes the Second Party. Third-party: The Third party is any person or an organization who is affected by the insured car, say, in an accident. For example, during a collision, owner of the other car in question becomes the third party. Own Damage: Any damage to the insured car or injuries to the owner of an insured car is termed as Own Damage. No Claim Bonus (NCB): If the owner of the insured car or third-party does not raise a claim in an active policy year, the owner will be entitled to a discounted premium on the next renewal. Insured Declared Value (IDV): The current market value of a car is the Insured Declared Value. IDV includes depreciation. Add-on/Rider: Additional coverage options available with a Comprehensive Car Insurance Policy. Claim Settlement Ratio (CSR): The ratio of a number of claims settled to the number of claims received in one year by an insurance company. Claim: Requesting an insurance company to pay for the insured damage or compensation with respect to the purchased insurance policy. Depreciation: Reduction in the monetary value of the car with time. Tip #2: Understand Policy Types: A car insurance policy can be of two types – a third party liability only policy and a comprehensive package policy. Third Party Liability Only Policy: this policy is also called Act only policy as it is mandated by the Motor Vehicles Act. This policy only covers any damages which are caused by a third party or property. The damages include any sort of bodily harm or injury caused to any third person (i.e. a person other than the car and the car’s owner) and also any sort of damage caused to the surrounding property. These policies do not cover damages or losses incurred by the car or the car owner. The premium for these policies is fixed by the Insurance Regulatory and Development Authority (IRDA) depending on the engine capacity of the car and it is uniform. Comprehensive Package Policy: also called a bundled policy, package policy or a comprehensive cover, this policy provides dual coverage. It covers the mandatory third party liability and also provides coverage for any damage incurred by the car and its owner. This additional coverage is also called ‘own damage’ cover. Premiums are based on the insurer’s pricing policy and they comprise of two parts. One part of the premium is for the third party liability coverage while the other part is for the ‘own damage’ coverage. While the first part is fixed by the IRDA, own damage premium depends on the Insured Declared Value (IDV) of the car. The IDV of the car is the current market value of the car after depreciation. 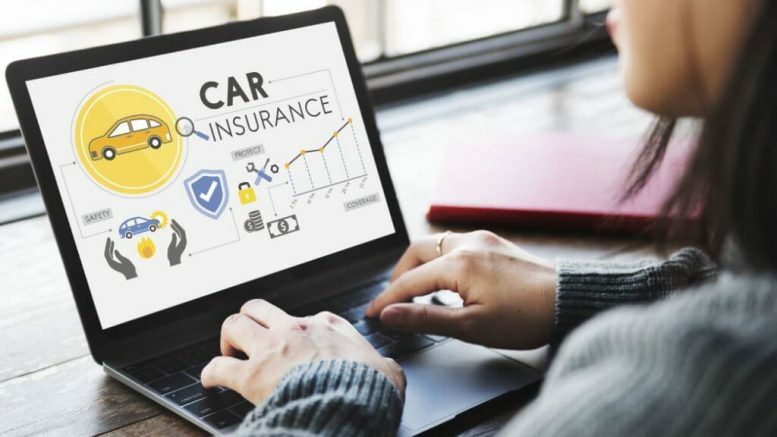 The calculation of the car’s IDV varies from one insurer to another and so the premium rates of comprehensive plans also vary across insurers. Depreciation Reimbursement: It is the most commonly recommended add-on feature, which entitles you to claim the full cost of replacing car parts damaged in accidents without having to pay from your pocket. Usually, a Zero Depreciation add-on feature is valid for a period of five years from the date of purchase of the car, up to a maximum of two claims during the policy period. Indeed, receiving a full claim on any part of the car that has been replaced after an accident is a great situation, is it? Roadside Assistance: This is a very useful add-on that provides certain round-the-clock services such as refueling, towing, change of flat tyre, battery related technical problems, arranging for a mechanic’s services and so on, in case of a car breakdown. In a situation like that, the company will send help wherever you are. Also, you will be eligible for taxi service, assistance in an arrangement of emergency accommodation and other utility benefits if you are stranded in a remote destination. Return to Invoice: In case of total loss of the car, the amount mentioned on the invoice will be compensated to the policyholder. Engine Secure: This add-on is essential for owners of new cars, especially high-end cars, that are up to three years of age. It compensates for even those repairs in an engine that is not related to accidents. It could be particularly useful for those living in flood-prone areas where frequent waterlogging during the monsoon increases the chances of damage to the engine. It comes at an added cost but it’s totally worth it. NCB Protect: Helps in retaining the No Claim Bonus even after making a claim. The number of allowed claims depend upon the insurer. Consumables Cover: In the standard car policy, small consumable expenses such as screws, nut, and bolts, oils, etc. are not covered and you will have to bear the cost if the need arises to repair or replace them. With this add-on, however, your insurer will make a payout for the value of such consumables. As the cost of consumables is much higher in high-end cars, it is advisable to purchase this to tackle such expenses. Generally, vehicles older than three years are not eligible for this add-on cover. Loss of Personal Belongings: If you lose expensive personal belongings like a smartphone or laptop, you can raise a claim under this add-on. Before you buy car insurance online, compare insurance policies online. Choose a similar type of coverage offered and compare various features offered by the company. Once you have bought the right car insurance policy and add-ons, you need to keep a track of the renewals. This is important as timely renewals help in getting a discount on the car insurance premium if no claim is raised against the policy. If you buy car insurance online, it will be easier to track renewals as well.